The residential roofing company that homeowners throughout the Maryville, Illinois area turn to whether they need minor repairs or an entirely new roof is Daech & Bauer Roofing. We’ve successfully completed more than 10,000 projects in the area, and our commitment to customer satisfaction has made us a six-time winner of the Home Builders Association “Remodeler of Distinction” award. Additionally, we provide an “apples to apples” price guarantee stating that we will match the price of any local roofing company that offers the same products and services for less. 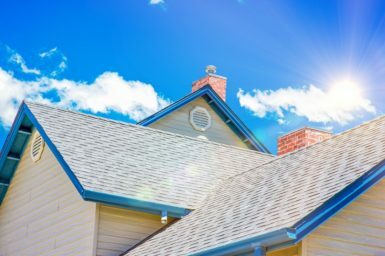 And, to help you have peace of mind about your investment in your home, we back our roofing installations with some of the most comprehensive warranties you will find, including a standard five-year labor guarantee. Stop searching for a residential roofing company you can rely on and contact Daech & Bauer Roofing today. We will gladly provide an estimate for your home in the Maryville, IL area.